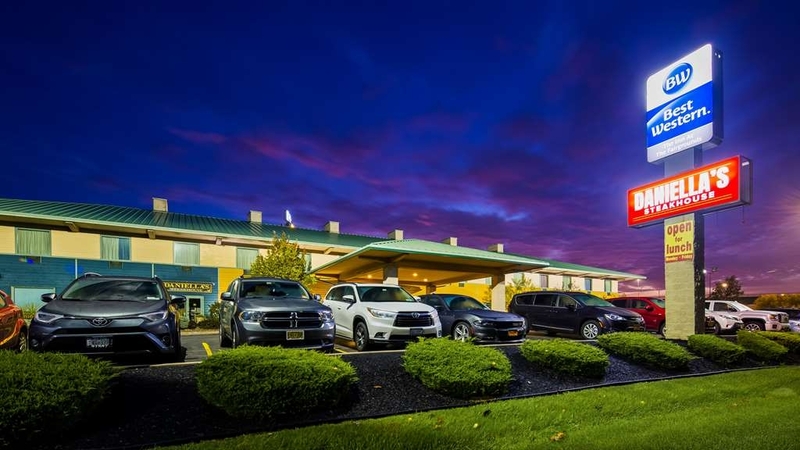 The Best Western The Inn at the Fairgrounds is ideally located in the center of Syracuse. Come and experience our hotel near the major tourist attractions. Best price guaranteed and exclusive deals. Come stay with us when you're in Syracuse, New York. Immediately feel at home when you walk into this king suite with room service available. Relax after a long day of travel in our king suite living area. 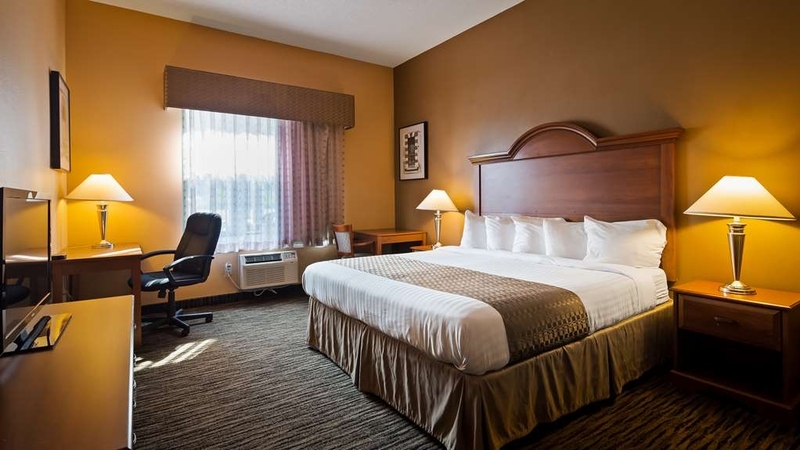 Our spacious king guest room has all the comforts of home at your fingertips. 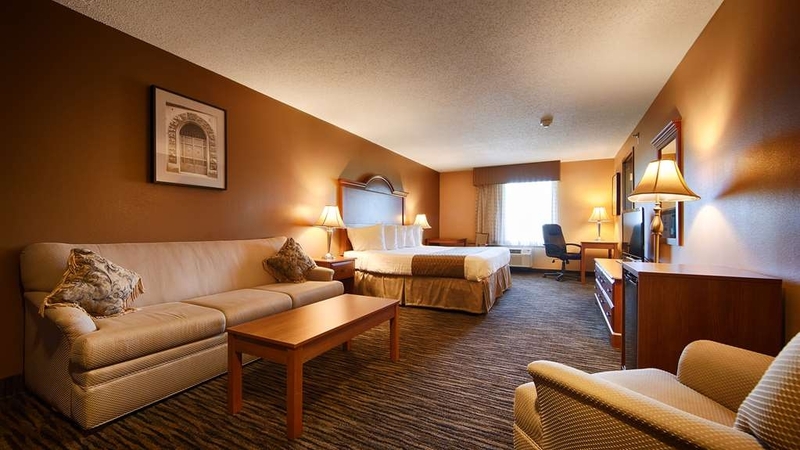 Have the perfect family trip in Syracuse New York and stay in our two queen guest room. 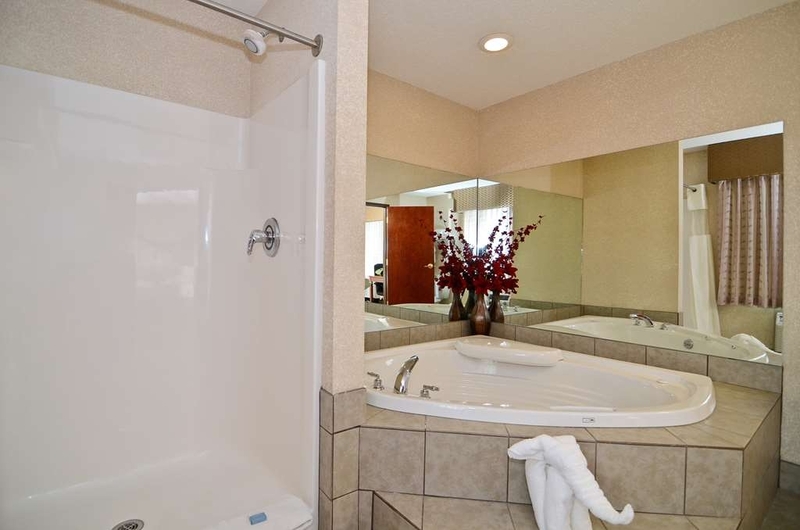 Our king whirlpool guestroom is complete with a separate shower and spa. Enjoy a delicious dinner at Daniellaâ€™s Steakhouse located on hotel premises. You donâ€™t want to miss out on the best steak dinner in Syracuse NY at Daniellaâ€™s Steakhouse. Daniellaâ€™s Steakhouse is always stocked with the makings of your favorite cocktail! 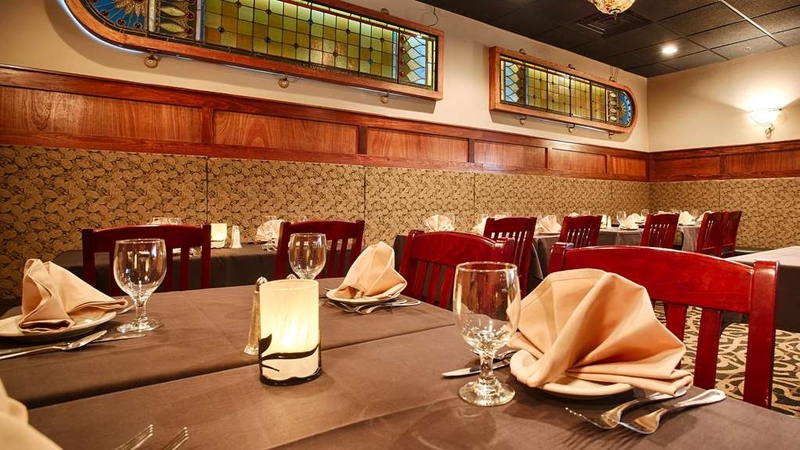 Enjoy delectable fare at Daniella's Steakhouse on site, or walk across the street from our Syracuse hotel to the New York State Fairgrounds, where your favorite treats can be found during special events. For those looking for a shopping trip while on vacation, the Destiny USA Mall is less than five minutes away. Whether you're here for business with Crucible Steel or here for a big event at the fairgrounds, a key location can help you make the most of your stay. Our Syracuse hotel is also a favorite for wedding stays, and we're happy to work with you and your party to ensure that the big day goes off without a hitch. Close to train and bus stations, it's easy to take advantage of the great public transportation when staying with us. The Turning Stone Casino is a must of a side trip for many vacationers, while a day at the Waterloo Premium Outlets is paradise for bargain hunters. If you're here for studies or an event at Syracuse University, you'll be in good company. 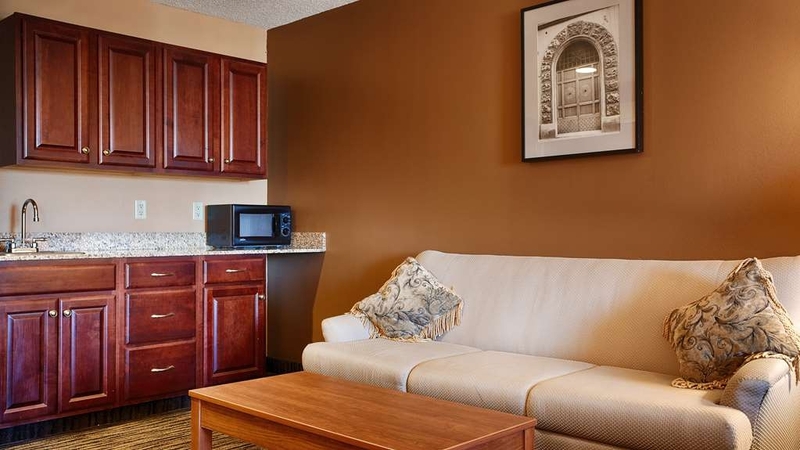 Our spacious rooms are perfect for extended stays, and many students, faculty and staff stay with us year-round. Duck into the Rosamond Gifford Zoo for a special day the entire family will enjoy. Even if you have meetings with RockTenn or you're on a road trip, there's always time for a little sightseeing. Employees of Key Bank and Syracuse Energy Corporation alike stay with us regularly, and these guests especially enjoy the endless dining, recreation and shopping options nearby. Check out our Armory Square or stroll around downtown Syracuse to discover a new favorite boutique. The Museum of Science and Technology with an IMAX theater is a great destination for kids of all ages. Get a cultural fix at Everson Museum of Art or find out what's happening on the local university campus. There's always something fun happening near our Syracuse hotel. 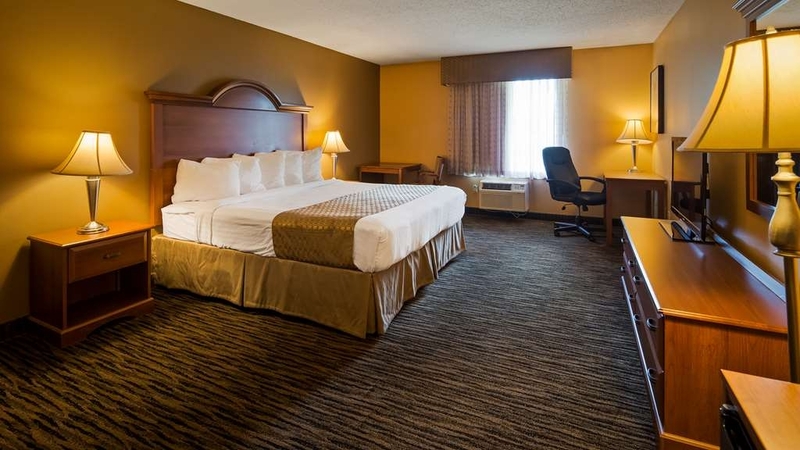 Book a quiet room at Best Western The Inn at the Fairgrounds and enjoy everything the city has to offer! hotel ok located closest to the fairgrounds clean, but tried to charge me for smoking in the room which we definately did NOT do.Called to question the charge and was told only the manager could remove it and he wasn't there so I'm still waiting for resolution to the matter. We traveled to visit family in Syracuse NY. We stayed for a week. The front desk staff was so friendly, and accommodating. She knew that we would be arriving from a 10 hour trip early in the morning, and had a room ready for us upon arrival. However the entire week we were there, we had a housekeeper come in ONE time, and it was because we asked, after being there for 2 days. We had to ask for fresh bathroom linens, and actually had to take our own trash to the housekeeper on multiple occasions, and get new bags, because they never came to do it. We had to tell the front desk to put it on the housekeepers notes, to come vacuum the carpet in our room. They were out of wash cloths almost the entire week, bc they didn't have any clean. The staff was very friendly, but the housekeeping was absolutely terrible! The breakfast was ok, but after eating the same exact thing for a few days, it definitely gets old, and needs more variety! Thank you for the review. We appreciate the feedback and we are sorry to hear that you had so many problems with our housekeeping. We will be sure to speak with them as this is in no way acceptable. We take pride in our customer satisfaction and we understand how important housekeeping service is to our guests; especially when on vacation. We will also be sure to let our front desk staff know that you were very happy with their service. We do hope if you are in the area visiting family again that you will choose our hotel to meet and exceed all of your needs. Thanks again! The Best Western Syracuse Fairgrounds it's very conveniently located just off the highway. You're less than 10 minute drive to the Destiny USA Mall. Downtown area and Syracuse University about a 15-minute Drive. The hotel is very clean. The breakfast is well-stocked with eggs sausages make your own pancakes a selection of teas coffees juices. There are three different types of cereal fruit and yogurt. Thank you for the great review! We appreciate it greatly and we are so glad to hear that you really enjoyed our breakfast. Thanks again and we hope to see you in the near future. "Don't let the photos fool you on their website"
Checked in and the girl at the front desk Brianna goes, it's my day off and I don't want to be here after handing me the keys. Girlfriend I get it I worked at Marriott and those 3-11 shifts aren't great. But I'm here just to relax and not about your problems. Her food suggestions were all chain restaurants and nothing unique. We had Daniellas which was connect to the hotel and the food was sub par. 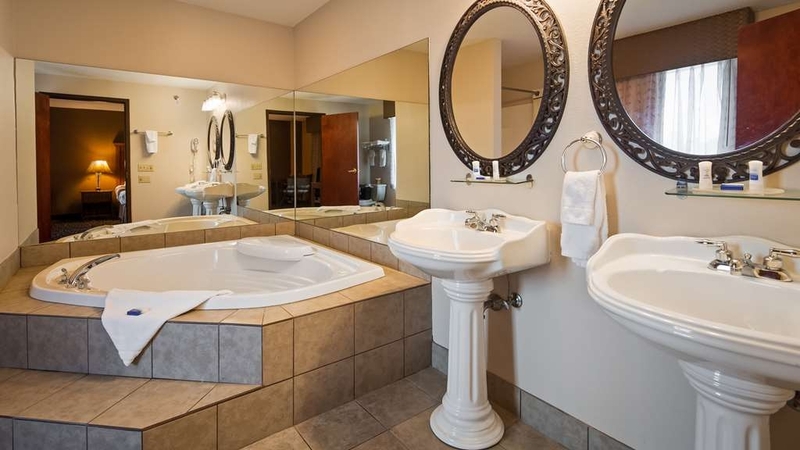 We got the jacuzzi room and it seems like it needs some upgrades. The furniture has stains and is falling apart. The best is as hard as a rock. The pillows just need to be tossed and thrown out. The pillows are thin and lumpy. The jacuzzi tub needs a real scrub down its disgusting. Not worth the $200 we spent. Then we go to wegmans to grab some food and come back to the desk girl leaning up against the wall with some guy watching videos in the main lobby area. Customer service isn't great here at all. No goodmorning, hello, welcome back. The only hello I got was from the lady who does the breakfast. This place seems to be poorly managed and I didn't see a manager on, so the employees felt like they could do whatever. Thank you for the review. We have spoken with our staff regarding this incident, and we truly appreciate the feedback so we were able to make this a learning experience. We also heard your complaints loud and clear about the room needing some upgrades, and we hope you will be happy to hear that all of our guest room furniture will be upgraded in late December. We hope that will give our hotel a chance in the near future to check out all of our upgrades and customer service improvement. Thank you again for the feedback we appreciate every bit of it. Was given a key to a unmade room at checkin. Room I was in for 2 nights was very loud -- rooms are not soundproofed. Could hear almost word for word the conversations in room next door, and every footstep in room above. As people were coming in late (after midnight), that made for very little rest. Also keep in mind that there is a grade level railroad crossing about a block away, so there will be a periodic train horn in the night. Water pressure and shower head were dysfunctional. Tub was dirty. Thank you for the review Laura. This is completely unacceptable and we will be sure to speak with all staff involved in this incident. I offer my sincere apologies and we will be doing some more training with our front desk staff in order in ensure that this is an isolated incident. We will also be speaking with housekeeping staff about the condition of your room upon arrival to ensure that everyone is doing their job properly. Thank you again for the review, we will take this as a learning experience for all of our staff involved. This place was hard to find coming from the south in a raining evening. The staff was friendly and very business like. The room was spacey. I love it where you can really walk around. The TV was not so good. Changing the channel was very slow and disgusting. The breakfast was really good. The exercise was good. I was quite satisfied. Thank you for the great review. We apologize that the remote was not working the best for you. We will be sure to have maintence go through the rooms to ensure that all batteries are fresh and the remote sensors are pointed in the best spot for easy use of the remote. We hope that if you are in the area again you will choose to stay with us! Thanks again M00se1976, we appreciate both the review and your business! Stayed at this BW for business. Had everything I needed and I felt like I was at home. Friendly staff and nice and quite. Clean and fresh room. One of the best Steak Houses I have every been to. Will be back in the spring. Thank you for the review! We are so happy to hear that you really enjoyed your stay with us and we can't wait to have you back. See you next time! "Hotel is fine-front desk is inept"
Front desk staff is not trained in the hospitality business at all. They never were at the desk, they answered questions in short one word answers. We woke up to no power or phone service at all and couldn't find an employee to find out what was going on. We left after four hours of no power, as we couldn't shower, have coffee or breakfast and during that time there was no management or owners present to try to handle the situation. What could they have done? The could have gone to Dunkin Donuts or McDonalds or Starbucks and had coffee and breakfast items on hand, they could have offered free night vouchers for the inconvenience, they could have called another hotel to see if they had any rooms that could be used for guests who had to shower and get ready for functions. They did nothing. The one employee that was there just kept walking around the lobby. I would like to apologize for the situation that incurred on Sunday with the loss of power. We have spoken with the front desk staff that was working during the power outage and we are going to be giving them additional training to better handle situations like this in the future. Even when unforeseeable situations such as a power outage occur we want to make sure that our guests are treated with the best service possible. Thank you for the review, and for the learning opportunity for my staff. Their shuttle bus driver knew my husband and daughter with at least 4 other guest from the hotel were still at the fair my husband called at 10pm for a ride back and was told no more shuttle bus service. They were told that they could be picked up until 11pm. At least 2 other guests were told this too. You can't just leave people behind to walk back on a dark road especially my 17yr old daughter. Thank you for taking the time to write this review. Management unfortunately had no idea that this situation happened. We hire our shuttle driver through a different company and they were on duty until 11pm every night of the fair. We will be sure to speak with the company that we used as this is completely unacceptable. I would again like to apologize for this situation and assure you that this will be an isolated incident. Thank you again for the review and for bringing this to our attention. We greatly appreciate it. We stayed here for the Ozzy concert and to go to the State Fair. Very nice hotel. Shuttle takes you to the fair gate 3 for free. Breakfast was great. Lots of choices and the girl there wipes down the tables and keeps it well supplied and clean. We would definitely stay there again. Thank you for the great review. We appreciate the feedback and we hope to see you again soon! "Great location and customer service"
Went for a concert at Lakeview during the State Fair, we expected the hotel to be overwhelmingly busy due to it being sold out, it was not. Only thing affected was the 2nd floor ice machine was empty. Service was quick and friendly. Room was a little old, stains on the bed skirt, vent in bathroom was very loud, other than that room was fine. Thank you for the review! We appreciate the feedback and we hope you will come and visit us again if you are ever in the area. We are doing all new room upgrades for the 2019 year, and we hope you'll visit again to check them out. Thanks again for the review and We are glad we could be of service to you. "Dishonest Dave - The General Manager"
Our 20-year-old niece had passed away prematurely, so we called and canceled our reservation. A few days later I noticed I had been charged anyway, so I called and spoke to the general manager who's name was Dave, even though he had an Indian accent. He had no recollection of our cancellation and said that he will be charging us $193 anyways. Who does this?! We did refund the total amount of the room to the credit card on file. We are very sorry for you loss and we hope that your family heals well during this emotional time. Rooms were clean and was located close to where we were visting. Recommened by our daughter who stayed there for a week for work relate activities. Close to mall and downtown Syacuse. Although we did not eat at the on premiss restaurant heard was very good. Thank you for the great review. We are happy to hear that you enjoyed your stay with us and hopefully we will see you again soon! If you do return be sure to check out the steakhouse you wont regret it. Thanks again! Nice place to stay when doing anything at the state fairgrounds or anything in the immediate proximity of Syracuse.Comfortable clean room and good free breakfast. Excellent! Would recommend if in the area and need a [place for the night. Thank you for the awesome review. We are glad to see that you enjoy our location and we hope you continue to make our hotel your go to when you are in the Syracuse area. Thanks again for the review and we hope to see you again soon! "Arrived to an unmade room..."
We arrived and were put in room 204... I opened the door to find the beds unmade and the bathroom a disaster. They moved us to room 215 right next to the elevator... ding, ding, ding all night long. Finally at sunrise we were awoken by the LACK OF black out curtains... I tried to stuff some pillows to assist with the sunlight but that didn't work either. And the last straw was the train whistle at 6am! Not a good hotel for sleeping! Thank you for the review. I would like to apologize for all of the issues that you had during your stay. This is by no means acceptable and we will be sure to speak with both our housekeeping staff and our front desk staff regarding these issues. We would also like to apologize that our hotel was a little to noisy for you. If you choose to stay in our hotel again, we do have a quieter side that we would be more than happy to put you in. Thanks again for the review, and we hope you will choose to give our hotel another chance to earn 5 stars from you. "Convenient location for our trip in the area"
Located beside The Fairgrounds and conveniently located for on and off highway access. For a property that appears to have been here for a very long time the highest suggestion we could give is that it really could use an update interior ambiance makeover to look more contemporary. Having said that, admittedly and thankfully this property is extremely clean and well maintained. Our rooms were of nice size, the beds were very comfortable, both rooms and washrooms were very clean and everything was in working order. A personal preference would have been for larger pillows as the ones supplied were quite small. All staff are extremely friendly. The buffet breakfast is continually well stocked with an ample variety of quality food choices. Again a personal preference would have been for pure juices and not cocktail mixes. Would definitely stay at this property again when next in area. Thank you for the feedback. We appreciate your review and we will be sure to take your comments into consideration for our future breakfast orders. We hope to see you again soon! The room was on an upper floor (2nd) and was a little walk to the front desk. This was not a problem for our purposes. The price was reasonable. for what was offerred. Free breakfast (full hot) was the biggest amenity. Room was clean and well maintained. The breakfast was Very good. 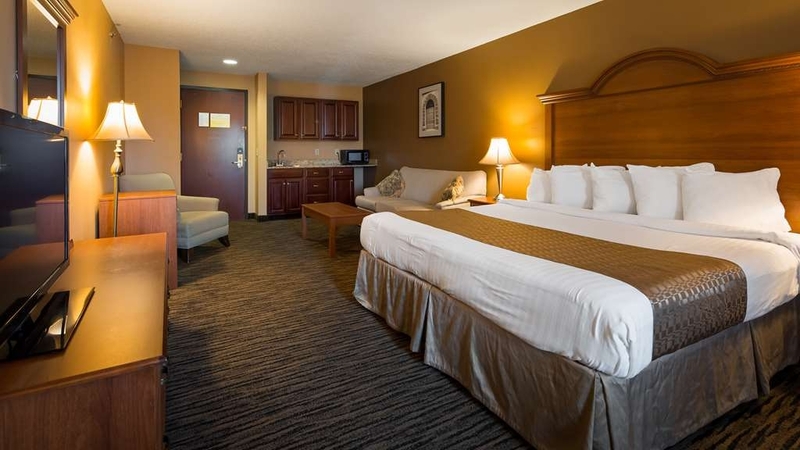 I would recommend this hotel even though it is not close to very much except the State Fairgrounds (right down the street ,half mile) Good value for what you get. Thank you for the awesome review. We appreciate the feedback. We are glad to hear that you enjoyed our breakfast as well as the room. 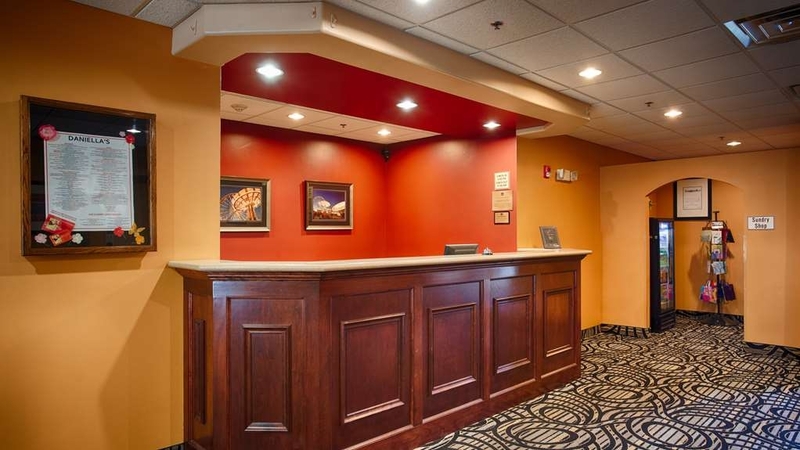 We hope if you are in need of a hotel in the Syracuse area again that you will remember us to meet and exceed all of your needs. "Best Western at the Fairgrounds"
Pleasant staff, facilities and location to the fairgrounds, though our stay was for visiting family and not for visiting the fairgrounds or during the annual state fair event. A simple and basic inn which was excellent for our purpose during this trip. Thank you for the amazing review. 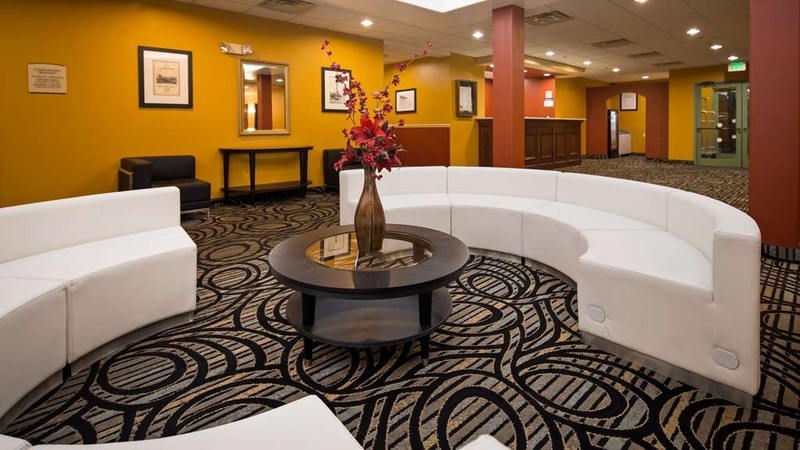 We are happy to see that you enjoyed your stay with us and we hope the next time you come to the Syracuse area to visit family you choose our hotel to meet and exceed all of your needs. Thank you for your business. Afterward arriving and placing my items and suitcase in the closet flushed the toilet and the toilet overflowed and was actually gushing with water. I ran to the front desk where the manager was. He asked me if "i" had shut the water off. He did not come to my room. I was able to save my belongings in the closet from getting wet although the water had run out of the bathroom across the hall to the closet. I missed my planned meal with family members because I was busy moving into another room. Later when I explained to the manager that I was unhappy with the situation. After all the room was costing me 233.99 per night which is over 150% over the average rate the manager told me to wait until Sunday during check out to "see what he could do." He guaranteed that he would be there to check me out and wasn't present on Sunday or leave instructions to his staff. When I reached him on Monday after calling the hotel myself, he said that it wasn't his fault that the toilet overflowed....complaints: the room was not delivered properly, the manager did not act during emergency, the manager spoke to me as if I was his employee, the manager did not follow through on guarantee and the manager did not apologize for condition of his property and did not to accept responsibility for my dissatification. I am deeply sorry for any inconvence that you had happen doing your stay. and we did move u to the different room right away as on also we I offer BW 1 night free stay bonus point also and we would like to apologize that you had a difficult time with this. Please do not hesitate to contact me. Stayed here two nights on business. Wanted a quiet place away from downtown, and this location was perfect---though it might be hectic during the State Fair. The manager, Mr. Patel, was very helpful in addressing my needs. Thank you for the review docjake300. I'm glad that I was able to help you with your needs, and we are glad to see that our location was perfect for you. We hope that if you ever have more business in the area that you will remember our hotel. Thanks again for the great review and we hope to see you again soon! "Very accommodating and great location for us"
Colby was wonderful and accommodating from the minute we checked in. She set a nice tone to our trip. We asked and were quickly and easily switched to a king bed room. Nice clean hotel - though our shower curtain (not the liner) in room 211 could use a wash and the furniture could have used a good dusting. Our air conditioner and fridge cycled a bit loudly- something that other reviewers mentioned. Lighting was a bit dark and it would be great if hotels - including this one - could have a telescoping magnifying mirror for the ladies. Just down the street is a nice gas station/dairy with THE best chocolate milk, soft ice cream and pretty darn good looking pizza! Also the hotel staff directed us to Wally's Belvedere that we went to because the bar at the hotel was closed. (just a bit further up the road) . We took Wally's 'over' about 1130p and had a great time. We had our group dinner in the breakfast area as the steakhouse couldn't accommodate the 15 of us. They tried their best to make it work and Jeff did his best, but it failed. Our food was delivered and put on the counter rather than served. Though only I complained, others later admitted their food was cold too. Breakfast was nice enough and I was so very happy that it was set up earlier than 6am as the only time I got to have any breakfast was when we rolled in at 530am from our bowling event that was delayed and I got to eat breakfast BEFORE going to bed!! The hotel was easy to find off of 297 and 690. Overall - we were very happy with our stay. Thank you for the amazing review. I will be sure to pass the compliments along to Colby, I'm sure she will love to hear them!. We are happy to hear that you had an overall amazing stay, and we hope if you are in the bowling tournament in the future that you will choose our hotel again to meet all your needs and expectations. Thanks again for the fantastic review and for choosing our best western hotel. "good location for what we needed"
We use this hotel once a year for a motocross event. It is very close to the fairgrounds. The hotel is basic but was clean. The breakfast is nice so we could eat and run. My biggest thing about hotels is that they are clean and this one is. Thank you for the review Janice!, We are glad that you choose to stay with us year after year and we appreciate your repeat business. I would like to mention that we are getting all new guest room furniture this year and we can't wait for you to try it out next year!. Thank you again for the honest review and we hope to see you sooner rather than later!. "Not a quiet place to stay"
This is the second time we have stayed at this hotel as it is the only one available in the area with our rewards points. The first time we stayed above the steak house on site which was rockin while I was rolling in bed. Fridge in the room is also loud and the toilets sound like a space ship taking off. Nice people and clean room stay at your own risk. Thank you for the review, I would like to apologize that our hotel was a little noisy for you. If you decide to stay with us again in the future, be sure to ask for a quiet room and we will make sure that you are away from the restaurant in a quiet area. I would also like to apologize that our amenities were not working properly for you. We will be sure to have maintence take a look in all the guest rooms to ensure this problem is an isolated one. We appreciate your honest feedback, and we hope that you will choose to stay with us again soon. We stayed here overnight so we would be close for my husband's race the nest day, the Lake Effect Half Marathon. There was a complimentary breakfast, which had quite a few choices. The staff was attentive at making sure there was enough food and supplies. The area to eat was very clean and spacious. The hotel was clean and very quiet. I would stay here again. Thank you for the review! We are so happy to hear that you enjoyed your stay and that we were close to the event you were attending. We hope that if you are ever in the area again you will choose to stay with us so we can "wow" you with the amazing stay you will have. Thanks again for the review and we hope to see you again! Stayed at this hotel to attend the CNY beer festival. Nothing special about the hotel, except the excellent steakhouse restaurant in it. The rooms are large and clean. The bed was comfortable. View of the highway. I would stay here again if I was attending an event at the state fair grounds, but no other reason. Thank you for the review! We appreciate your feedback. We are happy to hear that we were in a great spot for the event you were attending. I would also like to mention that all of our guest rooms are getting updated this year. If you come to any events at the fairgrounds in the future we hope you will check it out and give us some feedback on the renovations that are scheduled to happen mid-late 2018. Thank you again for the review and we hope to see you in the future! 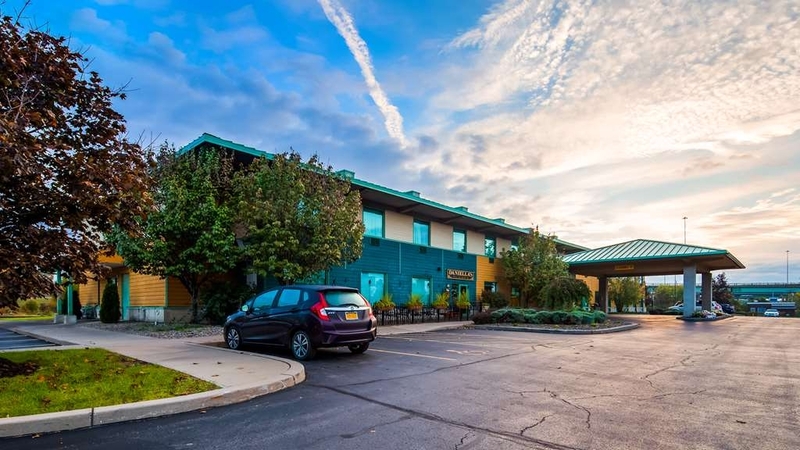 We recently stayed at the Syracuse Best Western Airport Inn prior to a flight out of the nearby airport. The hotel was clean and comfortable, staff friendly upon check in. I left my car in the parking lot, the shuttle service was very accommodating, especially when April picked me up at the airport, delivered me to my car buried in snow. April jumped out of the van and proceeded to clear the snow off my car without gloves on! Thank you April! Good morning Sheri, Although we would love to take credit for the amazing review it seems as though you left us a review when it really should have gone to the best western the airport inn. We are so happy to hear that a best western staff member took such good care of you however! My main reason to choose Best Western motels is the comfortable beds. The staff is always there to help if you have even the slightest issue or need an extra pillow! Bu they do give you extra pillows on the beds already. The towels are nice and thick too. Thank you Rosanne for the fantastic review!. We are ecstatic to hear that you find such great comfort with our rooms (and especially our beds!). If you are ever in the area again we hope that you will choose our hotel to exceed all of your needs, wants and expectations. I am deeply sorry for any confusion that you had during the cancellation of your booking. Unfortunately, depending on how you booked the room generally determines your cancellation policy. Cancellation policies protect both the hotel and our guests, and we would like to apologize that you had a difficult time with this. Please do not hesitate to contact me. I attend a Trade Show once a year and have tried other hotels.The Best Western at The Fairgrounds is closest and by far the best. The breakfast offered was better than adequate,very clean room,service attendant kept the counters clean and replenished as needed.. 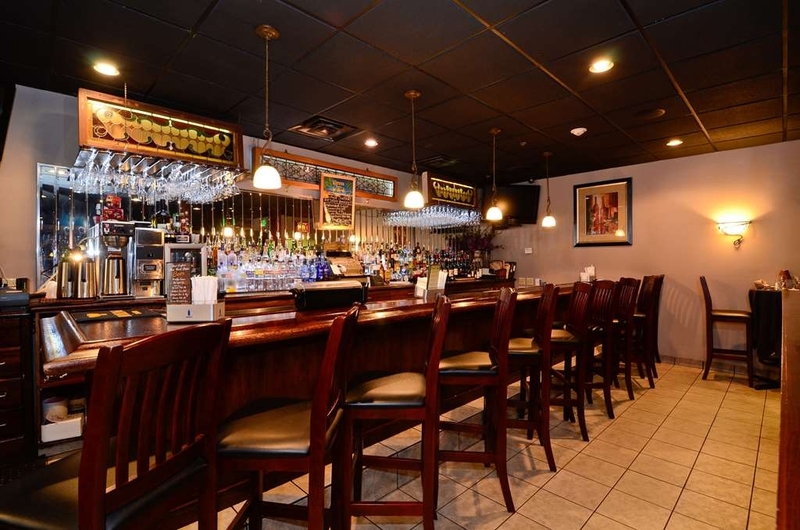 The in house restaurant is as good or better as any restaurant in the Syracuse area with fine dining and a good bar and staff.. Parking very convenient and well lit for security. I won't stay in any other motel in the area. Thank you for the amazing review! We greatly appreciate your fantastic feedback, and we cant wait to have you back! We try our best to ensure that each and every guest is satisfied with our amenities, service, and quality of their stay. We are so happy to hear that we hit all three spots for you! Thanks again for the spectacular review. "Worst Hotel Ever. Bad treatment by owner/manager"
This was the worst hotel stay. PERIOD. Our group had three rooms. Each room had its own problems. Room #1 had someone else's food left in the refrigerator. Room #2, the Tv didn't work and the toilet had a ring of black gunk around it. Room #3 had someone else's coffee splatters on the floor. It was there when we checked in. Housekeeping didn't clean it and the next day we told the front desk that the spot was still there and housekeeping was sent up. They argued in broken English that the water doesn't clean the floor. However, miraculously, when I requested she bring her mop and try again, the spot came up. I complained to the front desk about all 3 rooms (twice) and yet the manager never contacted me. Then, a month later, I find out that all of the rooms were billed to one credit card, instead of the three separate cards that we gave them. I complained to the hotel, and Best Western's customer service number. The manager didn't call back for three days, then lied about it and said he left me several messages. He said he would fix the charges but wouldn't give me any compensation for the problems, since Best Western gave me 'points' on my rewards. I told him I will never say at a Best Western again, as his hotel was the most disgusting place I had ever stayed. DO NOT GO HERE. Go to the Holiday Inn up the road. I would like to start by apologizing for your unpleasant stay with us. We take pride in the attentiveness of our staff and what you described in your review is absolutely unacceptable. We will be sure to speak with housekeeping regarding these issues, to ensure that they are properly cleaning every aspect of every room. Regarding the issue of being rewarded only points I would like to bring to your attention that best western rewards points can be used for a number of things, one of them being gift cards for places such as Walmart, target, amazon, Applebee's, dunkin donuts etc. Thanks for your review! I'm glad to see that overall you enjoyed your stress free stay with us. I do apologize however for the lack of a microwave within the guest rooms. Unfortunately each and every room does not come equipped one. We do however have one for guest use in the business center and I hope the front desk staff notified you of this option. The staff was friendly and helpful and the room was clean. The room could have used a little more lighting, however. Breakfast is available only until 9:00, a little early when where we are headed opens at 10:00. Thanks for your review Nancy. I'm ecstatic that you enjoyed our hotel; however I would like to apologize that our breakfast hours didn't exactly meet your needs. We will be sure to bring this up at our next staff meeting to insure that each and every guest is able to enjoy breakfast-without interrupting their sleep. We hope to see you again soon! Impeccably clean, personable staff, outstanding restaurant (Daniella's Steakhouse) From check in to check out, our every need was met. Comfortable beds, 50" TV with choice of stations, clean bathrooms with amenities, it was a wonderful place to stay!!! Thanks for your review! We are so happy to see that you enjoyed every aspect of your stay with us and we hope that if you are in the area again you will book a room with us! Thank you for choosing our Best Western Hotel. "NOISY COOLING SYSTEM NO TELEVISION"
If you too like noisy cooling system which runs all night disturbing your sleep and a television that doesn't work you too will love this place. If you enjoy being told television is broken and nothing can be done and manager won't speak to you stay here. If you enjoy being disappointed and making the best of a bad situation stay here because the manager will give you BW points telling you that you should be grateful. If you enjoy asking the front desk person for help and being told nothing can be done this is the place for you. Location is great. Breakfast alright. Gary, I would like to start by apologizing for your negative stay with us. I know that we were able to work out an agreement to meet your satisfaction however the events described by you in your review are completely unacceptable and uncalled for. Each and every issue you had should of been taken care of urgently, and I apologize that they were not. We hope that you will choose to stay with us again so we can show you the customer service skills we are more than capable of. So I frequently stay at Best Westerns across the country and I must say this one is tops with the steak house attached. They always link up with a local restaurant and I must say it been pleasurable. But the steak house leaves me begging to return. The prices are reasonable and the staff is amazingly professional. Just a great experience. Thank you for your review Charles! We appreciate your feedback. We are ecstatic to see that you really enjoyed our steakhouse. 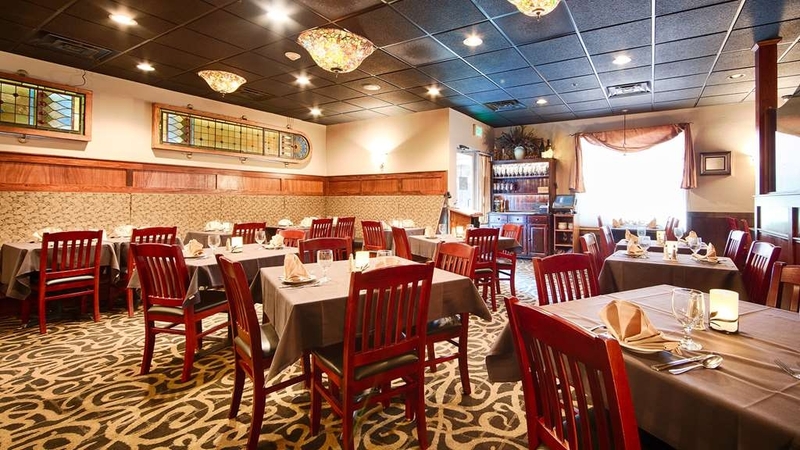 We definitely have a restaurant gem on our hands and were glad that you were able to witness that for yourself. We hope that we will see you again soon, and we will have the steaks ready to cook for you!. We stayed 2 nights. Our room was up to the expected standard. Breakfast was ok but not wonderful. Staff very friendly and helpful. The big fair was on which we knew nothing about. Hotel laid on a free shuttle to and from which was very welcome. We would stay again. Thank you for your review! We are happy to hear that the room was in good condition and met your expectations. We try our hardest to ensure that each and every guest is satisfied with the entirety of their stay. We hope that we will see you again if you are ever in the area, and of course Thank you for choosing our Best Western Hotel. "Our Mistake Fixed by Hotel"
We managed to book the hotel for the wrong days and showed up the evening before the last day of the NY State Fair with no room booked. The Night Manager, Jeremy, found us within minutes a room at the rate we had booked. Later, when our delivered cot got poached by another guest (it was the last one), he shifted us into a room with a sofa bed. Thank you Best Western. Thank you so much for your review Carl!. We are so happy to hear that Jeremy was able to help you with not only your reservation date issue, but also with your cot. We will be sure to pass the good review along to him and we thank you for choosing our Best Western Hotel! "Excellent Location for Fair, Minor Glitches Fixed Immediately"
I booked this hotel on a whim after deciding to take a road trip from New Jersey up to the New York State Fair to see a concert. The price was excellent, considering the hotel's proximity to the fairgrounds. It's walkable, but they also offer a free shuttle that leaves at regular intervals. The outside is a bit nondescript; there's a sign on the building for the attached steakhouse but not for the hotel itself, which was a little confusing at first. Parking is free, which is a nice perk. The lobby was clean, and the carpet appeared to have been redone recently. I originally booked a room with a king bed, as I was told that was all that was left. When we got to our room, the door was propped open, which was strange, and the room reeked of smoke. We immediately went back down to the desk. There was nobody there, so we waited for about five minutes, explained the problem and were immediately switched to a different room, which ended up being better for us because it had two beds instead of one. The room was clean and comfortable with everything we needed for our one-night stay. No complaints there. We didn't try the free breakfast, but there is one included, which adds value. Overall, I'd recommend this place if you're looking for something middle of the road that's not too expensive and that's close to the fairgrounds. Thank you for your review! We are happy to hear that you had an overall great stay with us. We would like to thank you for your feedback on our location to the fairgrounds as well as our free shuttle service which was offered during the fair. We hope that you will come back next year to visit both us and the fair! Again thank you for your review and of course we thank you for choosing our Best Western Hotel. Boss booked me into this place twice now. Told him never again, ever. If you can find someone at the front desk they are not polite or even knowledgeable about room locations. No one is ever at the desk in the morning. Rooms are noisy and never really what I would call clean. Check the toilets and tub drain before unpacking. I spend a ton of time on the road and have gotten used to too much bs in hotels. But this place is not worthy of my money. Just don't bother. I asked for a quiet room, like it says in my member profile. I was placed in a room directly above the restaurant kitchen and dishwasher. When I asked for a change, I received attitude and a room with a broken toilet. Thank you for your honest review. I would like to start by apologizing on behalf of our staff. What you have described is completely unacceptable and we will be sure to bring these issues up at our next staff meeting. We do have a few new employees who are still learning the ropes with a few things, although this is no excuse for what you have written in your review. Again I offer my sincerest apologizes and if I can be of any more help to you, please contact the hotel and I will be more than happy to help in any way I can. "Great Place to Stay near NY State Fair"
This hotel was close to the fair groungs. 10 minute walk. It was clean, courteous staff and offered breakfast. They even run a shuttle to the fair hourly, but we walked most of the trips over. We had a special night there and Daniella's Steak House was an excellent restaurant. WIth no drive home. I'd stay here again! The hotel was clean, employees friendly, especially Sue Y our shuttle driver. Prices were fair, and the breakfast was good also. My only wish was for a pool but we loved our little getaway to the NYS Fair. Staff was not helpful and room was not ready upon arrival. They sent us to another room that was not cleaned yet. The toilet ran all night. When we went to check out no one came to the desk. We ended up just leaving our keys. The night before we asked to speak to the manager but he would not come out. Clean, wonderfully helpful staff, comfy beds, good size mini fridge, decent breakfast with hot items, easy access of the highway. Will definitely stay there again. Great price too. Paid in advance of stay. Great place to stay if attending concert at Lakeview Ampitheatre. Shuttle runs from fairgrounds and is in walking distance. Room was very nice just don't pull out the furniture to see what hasn't been cleaned. Hotel was clean with friendly staff. Upon entering the room, it was nicely furnished and well maintained. Upon taking my shoes off, they immediately got wet.... I was standing on a soggy, wet carpet that was wet from the bathroom door to the first bed. Not just damp, soaking wet. I was tired and with kids. So we put items on the floor so we knew where the wet spot was and went to bed. We left a note for the staff in the morning, since we left at 6am, and hoped for the best. Upon our return at 4pm, we opened the door to a putrid locker room smell, or mildew, from the still damp carpet. I alerted the front desk man when we checked out and he said something to the effect that I should have told him sooner and he would have given us a different room. When I make reservations at a hotel, I shouldn't have to tell them something is wrong with a room or have to move rooms. Staff should be looking for these issues! Otherwise, the continental breakfast is great and the hotel was quiet. I don't like that the side doors are never locked and anyone could stroll in. There also were some cute beavers in the little water way near the parking. The restaurant at the hotel had good food but really pricey. There is a great deli up the road and a Byrne dairy with a subway for food. This is a very comfortable and clean hotel, one of the nicest on our 8 day bike trip along the Erie Canal. 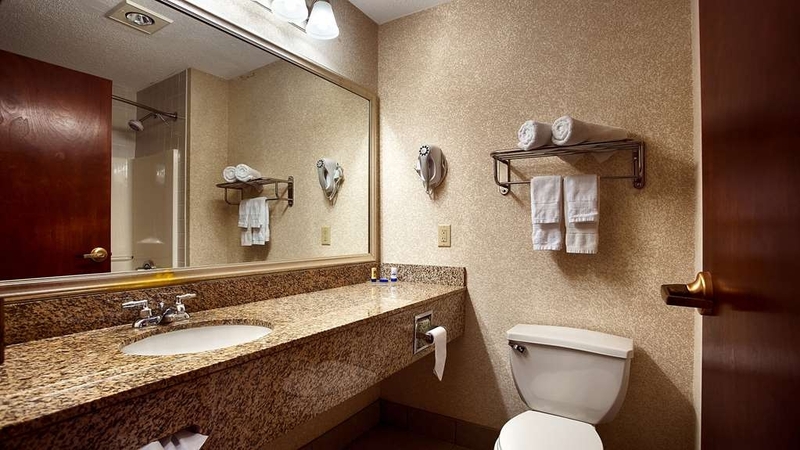 We appreciate that this hotel encourages guests to reuse linens and towels in order to conserve water and energy. Very clean and spacious rooms. Close to the Amphitheater. The food at the on site restaurant is very good, with great service, but a little pricey. Would definitely stay there again. The desk person was very accommodating, and helped a lot with local attractions and all that Syracuse has to offer. Not an easy place to get to from the interstate even though you will be able to see it. Bedroom was standard and fine. Internet was not working and tech people had to be called so it was out until the next morning. If you are staying at the fair this would be a good location otherwise I'd skip it. The adjoining restaurant was fantastic. I found that the hotel was small... side door was never locked... not that i had to worry bout strangers entering... there was no pool or outdoor lounging area. Breakfast could of had more variety of items...! Was very close and convenient to the concert that i attented... easy access to get to and to leave...it's not top of the line but was good enough to stay in for the evening and was a reasonable price. Stayed here only because we were going to a concert at the Lakeview amphitheater. This is THE place to stay if you are going there. Very convenient access, but its a 45 min walk, or a 8 min drive (as long as you go early to beat the traffic.) Even if you waited and went with traffic it would not be too bad given the close location. its a decent, if old motel. Ok breakfast. Don't expect much and you won't be disappointed. Hotel was nice, seems newer, is clean and fairly quiet. Booked this because we were going to a concert at the amphitheater at the fairgrounds. This was the closest we could find and it said 0.6 miles. It is definitely too far to walk though because of the way you have to get into the concerts, and there are no sidewalks so we ended up taking a cab from the hotel. The bar and restaurant in the hotel was decent and staff were pretty friendly. "Excellent location for Fairgrounds or Amphitheater"
Very close to the Fairgrounds and shuttle to parking lot from the Amphitheater. The downside is that there are not many restaurants close by. There is a steakhouse at the hotel, but it is pricey. You can Uber or cab it to a restaurant in the city, or it is an easy drive. Near to the highway exit, but surprisingly not noisy. The hotel was very close to the venue. Staff was real friendly. Great restaurant inside. A pool would have made it better or a hot tub. Thanks to all the staff for helping get our room ready next to the exit door for the dog. Not high end. Not Motel 6 either. Could use some updating. Restaurant is great for discussions over dinner Decent wine list. Waiter presented the check for both couples onone checkthen after taking it offered to splitthe check. Ithought he would have asked first. It's an obvious choice for any event at the Fairgrounds. Modest comforts.Gates are within walking distance. The usual dim lighting. Coffee OK but not the cheap black teabags. Stale air. Good steakhouse restaurant in the building. "Convenient For A Night's Stay"
We stayed at this hotel for 1 night in mid-June. We were in Syracuse after a tour of the University for my son, and we were still heading upstate to Buffalo. 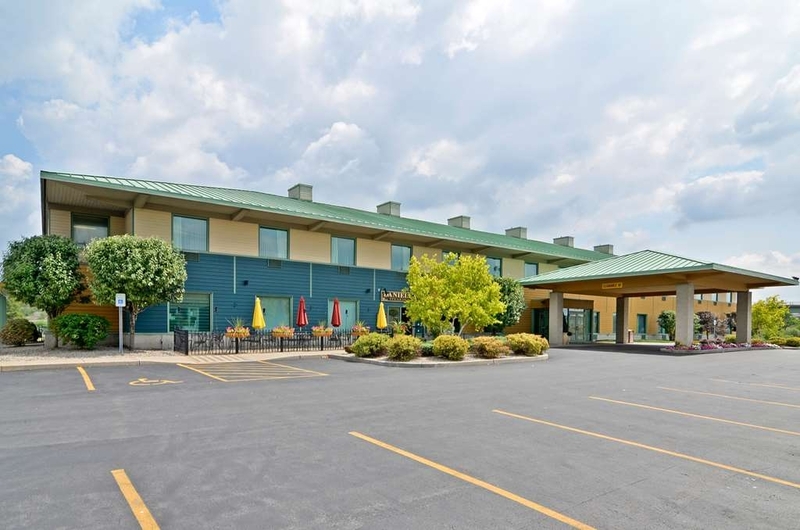 We chose this hotel because it was close to the Fairgrounds and we were attending an event there. The room was comfortable and large enough for two adults and two children. We didn't eat at the steakhouse, but that's obviously a plus for hungry travelers. The breakfast the next morning was plentiful. Staff was helpful. We got here at 3:30pm, and here it is 4:40 and our room is still not ready. No apology, just a we can't promise your room will be ready we've been busy with concert goers. I was planning on coming here again for a night when I go to another concert, but at this rate....looking for another hotel. We spent one night here in early June. It's in the middle of no place. If you are going to the fairgrounds, it's about a mile away. If you are looking for downtown Syracuse, forget about it. If you were just passing through, as we were, its very good as the Interstates are nearby but not so nearby that they are noisy. I needed a handicap accessible room There is a roll in shower and portable shower bench. There is plenty of room to get a wheelchair under the bathroom sink. My only two comments about the bathroom is that there is no way to contact help if you are in trouble (no switch, no phone) Also, the width between the toilet and the edge of the sink is too small by about an inch. It was difficult lining up the wheelchair to do a transfer to the toilet. I think both of these issues could be fixed by management. Having Daniella's steak house next door was great. Again not many places to eat in the area. But the food at Daniella's is worth it (See my review under restaurants) I was able to get into the restaurant from inside the hotel They have nice outdoor seating weather permitting. I suggest however, that you make a reservation in advance as it fills up quickly at dinner time--at least on a Saturday night. The room had a shortage of outlets but it did have a microwave and fridge. The staff was average. The breakfast area was nice with a nice collection of both hot and cold items. I'd come back if in the area again. Do not waste your time and money staying here. The management is awful which trickles down to the rest of the staff. The hotel gave our room away. To accommodate us was very hard to say the least. The rooms stunk of cigarette smoke. Towels were hard to come by and the price was too high. The location of the hotel was ideal fro the event we were going to at the Fairgrounds. The restaurant seems like it had a excellent choice of food - wish we would have had time to eat there. Surprising our room was very quiet even though there were expressways just down the road. Staff was pleasant and efficient. "Change the sheets for God's sake!" The sheets had make up stains on them when I checked in, it was late and I am not that squeamish so I let it go. The second night I also got in late and was tired so I let it go again. The third night I was just curious to see if the stains were still on the sheets and they were along with a small wine stain I contributed the previous night. This hotel requires you to sign a wavier about pets and smoking, yet does not seem to care if the sheets are clean! Stayed one night. Previous reviews mentioned poor room service, however, I'm glad that I chose this location. Very courteous and professional staff. Clean and spacious room. Hot breakfast was average. I had $10 Best Western Travel Card but front desk staff couldn't figure out how to apply the travel card to the bill. Otherwise, I would give 5 stars! Thank you very much for choosing our hotel. We try our best to ensure that each and every guest is highly satisfied with their stay with us. We are very sorry that you had some issues redeeming a travel card. Please call 315-484-0044 and we will be more than happy to assist you in fixing this problem. We are glad that you enjoyed your overall stay, and we hope that you will choose to stay with us again in the future ! We stayed here when we came to Syracuse for my sons graduation. Very friendly staff. The rooms were clean and comfortable. You MUST eat at their on site restaurant, Daniella's. It is fabulous. Such wonderful, friendly people. The food is delicious! Five of us stayed in Syracuse for one night to take part in a dance competition at the Fairgrounds. 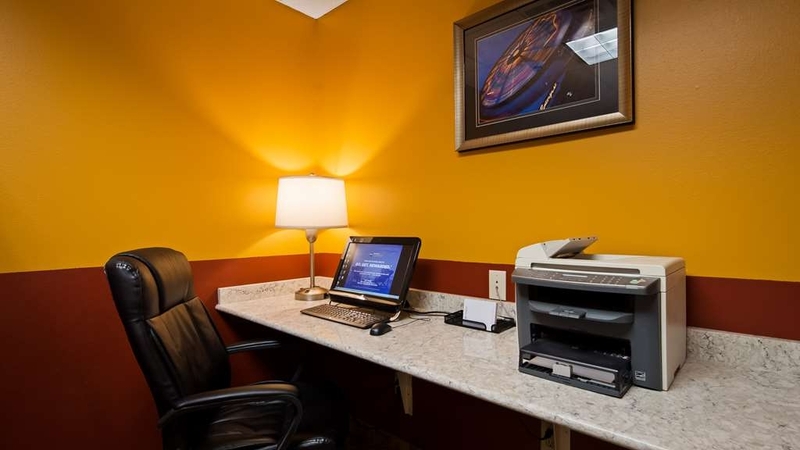 The location of this hotel is very convenient to the Fairgrounds and a short drive to Destiny. The breakfast was good and hot. When we arrived however, our room had not been cleaned from the previous guests. We were offered one King bed which wasn't enough room for two adults and 3 children. Eventually we were given two King rooms which solved the space issue. Upon checkout we were charged for a cot that we didn't receive or use. Although the location was very good, not sure that we would stay there again. 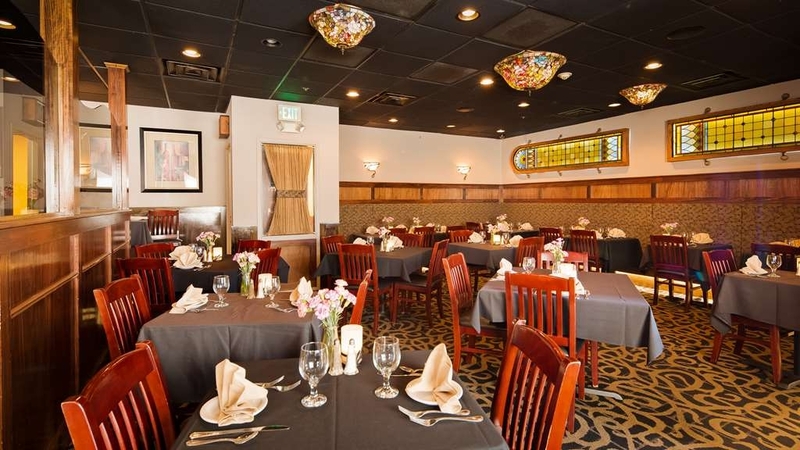 "Danielle's restaurant is a gem- hotelneeds a revamp"
The rooms are spacious, clean but look tired. The bathroom is adequate but not very practical, not enough work top space and hairdryer very feeble. The lobby and hotel rooms feel tired and in need of updating BUT the restaurant within the hotel is excellent!!! Our stay during my daughter's recital at Syracuse University at this hotel was convenient and very comfortable. Breakfast has a lot of options. All the staff was very pleasant and helpful. The hotel is close to downtown and the airport. The only complaint I have is the lighting in the room. It was dark and had to unplug the coffee maker to plug in the one lamp. The room was clean and the girl who checked up in and out was friendly. It was very close to the event we went to at the fairgrounds which was nice. Thank you so much for taking the time to share your experience with us. I am sad to learn that your stay was not enjoyable. Your comments on our front desk are duly noted and have already been passed to our Maintenance to make this issues are properly addressed to not happen again. We hope that we will have the opportunity to WOW you during your next stay with us. "No coffee in the morning!" I was staying there on business, and while I was there for four days, there was a problem with the coffee machine in the breakfast room the entire time. I can understand a problem for one day, and I would accept that, but not for four days. In fact, when the staff on the first morning told me that the coffee machine was not working, I drove up the road to Suzie's Diner and bought two coffees, one for me and one for her. At he very least a hotel should have a back up plan for something like this...such as run up to Target and buy a Mr. Coffee and a few cans of Maxwell House coffee. Also, while the room was clean, I noticed that there was something covering the recessed lighting fixture near the entrance to the room. I dragged a table over to the area and placed a chair on top of it and climbed up to investigate...it must have been a sight to behold, my balancing up there..it turns out the fixture was covered with plastic. Apparently, the ceiling had been painted, and they never removed the masking over the lighting fixture. Also, I returned to the room at 5:00 p.m. one day only to find that the room had not yet been made up, but the maid was just about entering. Rather than get to relax a bit, I had to leave so that she could complete her cleaning. There is no reason for any hotel room to not be ready by 3:00 p.m. I think that this place has a management issue. We were in the area to see a show at the NY State Fairgrounds, so the location was wonderful. The hotel was great in all aspects, but the most memorable was the fast, courteous and helpful staff in all areas of the hotel. Your people were wonderful! The hotel is very clean and the staff were very friendly and accommodating. The room was large with adequate amount of space, tables, and places to store luggage and clothes. We had a refrigerator and coffee maker in the room. The bed was too firm for a side sleeper but enough pillows were provided to make something work. The steakhouse on the first floor has phenomenal food although a bit on the price side as any good steakhouse is. Close to other food options too but not within walking distance. The issues we had were that the free wifi was spotty and we had a difficult time logging in on all of our devices. Also, the cable TV went out one night forcing us to call it an early night. That same night at about 1 AM the pipes in the wall started vibrating so loud it sounded like our neighbors were using a jack hammer and the noise brought several rooms residents into the hallway to investigate. It was a startling wake up but the staff were quick to resolve the situation and there is not much else you can do about cold pipes. We took the do not disturb sign off our door everyday so our room would be cleaned but the second to last day when we returned to our room, the do not disturb sign was back on the door, our room was not cleaned, and no fresh towels. We know that we took the sign off the door because we let the door close before taking it off and had to use the key card to open the door to put the sign back in the room. The breakfast consisted of cereal, danishes, a waffle maker, and some eggs and a meat side. It is walking distance to the NY State Fairgrounds. 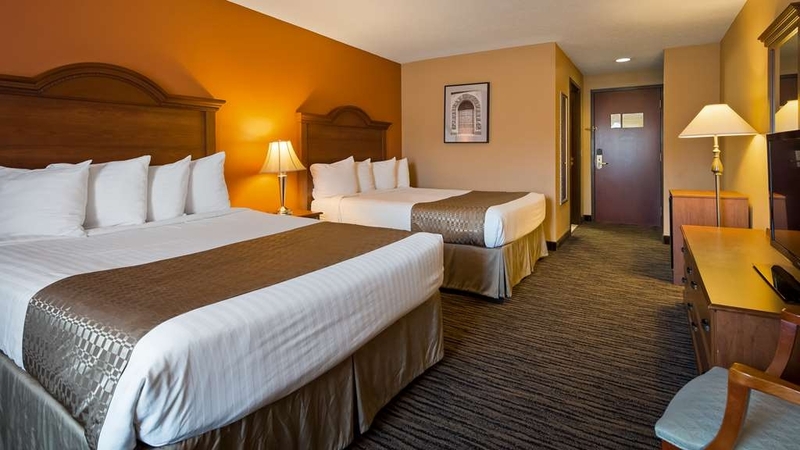 "Convenient w/ Great Food & Drink"
Hotel is clean and close to the State Fairgrounds where we attended a trade show. Daniella's has excellent food and the bar there is nice. This was the first time we stayed on the property but have eaten there many times. It's always on point. "Avoid if you are sensitive to smells." The hotel itself was not bad, but from the moment we entered the lobby until we escaped the following morning, we were bombarded by an incredibly strong smell of air freshener, like some people over-use air freshener to cover up nasty smells. It was strong, pungent, and ever-present. We ran the air conditioning unit using fan only, thinking it would bring in outside air, but the stench remained in the room all night. They must use an air freshener in their entire system because we couldn't escape the smell anywhere in the building. It made us seriously question the cleanliness of the hotel because usually people overuse air freshener to hide unpleasant odors. This stench was AWFUL! Smell aside, it was an okay place to stay while driving through. In the future, we will never stay here again. I reported this incident on my departure but never heard back from inn staff. I came to stay for two nights. Since the housekeeping had come in while I was sleeping, I requested the lady to come later. She didn't speak English, so I called the receptionist, who said she doesn't know where housekeeping is, but will tell them to come later. Around 5pm, when none came, I called again, and she was rude. She said she doesn't know where housekeeping is. They could be upstairs, she doesn't know how to reach them. I told her we have no towels, no coffee, no soap. She was very rude and said to come to reception if I wanted anything. I'm disabled, so its hard for me to come and go again and again. Later, I called again to ask her if there is any food delivery service close to inn. Again, she was rude and said come to reception and take pamphlets. I came to reception, and on my way out asked her about housekeeping again. It was 8pm by that time and my third request. She said they left. I was very upset. When I told her its not right, she said its not her job to take care of housekeeping. My room was a mess and there were no cups, no creamer, no coffee. I even ran out of tissues. I couldn't carry a bunch of stuff to my room. So, I went to my room with just coffee which I had in the only available plastic cup that I had used before. I was very disappointed and while checking out told the morning receptionist about what had happened. You come to hotel and expect everything in order, but my experience was a disaster. The morning receptionist was a nice lady, who said she will report this, and I will receive a call from them and most likely 20% discount. Not that I care about the discount, but I feel an apology call or at least a follow up call of inquiry would have been nice. After spending $230, I think I deserved at least that much respect. I was in town for a horse show at the fairgrounds. It was nice that this was so close. Breakfast was less than average though. Coffee was good. I would recommend this motel to anyone. Very affordable. We called the hotel and made our reservation with a young lady. We told her we were seniors and she quoted the price. We agreed and made the booking. She emailed us our confirmation. When we arrived at the hotel, the manager at the desk told my husband that we were given the AAA price and INSISTED that since we were not AAA members we would have to pay more. He accused us of lying when we made the booking. My husband told him that we had not represented ourselves as AAA members when we booked and that we would find a room elsewhere. As my husband was walking out the door, the manager called him back and said he would honor our reservation price. This was nothing less than a shoddy way for the manager to try to get more money out of us. We don't do business that way and will never go back. 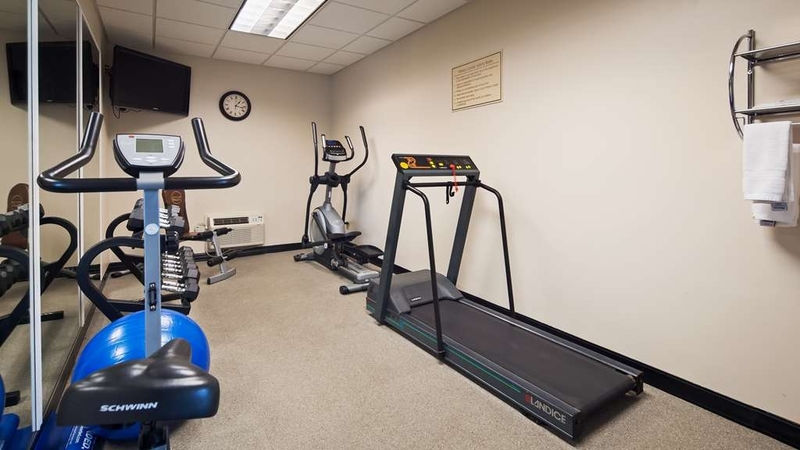 "Great location and affordable rooms"
This hotel was conveniently located near downtown. The staff was friendly and very helpful. We had inadvertently booked the room for the wrong month, but the right day of he week. When we called for a shuttles is when we were told the reservation was for October and not September. They were still able to accommodate our stay. We appreciate everything they did to accommodate our stay. The staff are welcoming, friendly, and very helpful. The room was spotlessly clean as well as the lobby and grounds. It is close to the highway and downtown Syracuse. The breakfast was well presented and included lots of choices. We really enjoyed the make your own waffle station. It included eggs, sausage, cereal, juice, coffee, fruit, yogurt, toast/bagels, pastry. There was plenty to chose from. "Great Place to Stay in Syracuse"
We have stayed at the Best Western Inn at the Fairgrounds every time we visit our granddaughter, who lives in Syracuse. We have always been delighted with our stay. The Inn isn't fancy, but it is quiet, clean, and convenient. The staff is friendly and efficient. We also love the steak restaurant that is associated with the Inn. We plan to continue staying there every time we go to Syracuse. "Weekend at the NYS Fair"
This was a very nice place , it was as close as we could get to the fair. The staff Sue & Brian were so accommodating and friendly. They made us feel like we were part of the family even though we had only just met. Our room was very nice and clean . My only complaint is that there was no pool which I thought I had read but could have been my mistake. I would definitely stay again . "In town for the fair"
I called ahead to let the hotel know that I would be checking in at 10:15pm and they said, "No problem". In fact, I didn't have a problem checking. My room was on the first floor, and it was clean and quiet. Breakfast was good, and Sue was very helpful to everyone. I would suggest eating early (I went at 7:30am) since the room can get crowded around 9am. Checking out was a breeze at 9:15am, and I left for the fair in good spirits. I would definitely stay here again. Room was comfortable and quiet. Breakfast was acceptable with real eggs. Unfortunately there were too few staff to provide efficient service and staff on hand were less than professional. Mildew on bathroom ceiling. 8/2016 - Just stayed at the Best Western, The Inn at the Fairgrounds for a couple of nights. The room was decent, but I was disappointed. The room was not cleaned during our stay. The beds were not made and new towels were not delivered to the room. There was mold in the bathroom on the ceiling. When we came back to the room after being out all day, we asked the night clerk why our room was not cleaned. She told us that the cleaners did not come to work. She also called the manager and informed him of our complaint. She also indicated that other customers had the same complaint. When we left in the morning we walked by the cleaners on our floor, so we know that they did work that day. We complained to the manager the next morning when we were checking out. My husband and I got the impression that this happens often. The manager tried to blame us. In the end, he gave us $10.00 off the room. I didn't feel that was enough, but my husband assured me that we would not stay there again. "In town for concert "
"Quiet & close to highway, fairgrounds"
We stayed for 3 nights as we were in town to do kayaking & whitewater rafting. Hotel has great hot continental breakfast. 6-9am. Room is large. A/C little on the loud side & could not get the temperature right however the beds are comfortable & room was very clean. No major complaints. Restaurant within the hotel is fantastic!! Little pricy but well worth it!!! "Hotel Amenities good - front desk not so much"
"Over priced for one evening"
"Just average, good location for fair or concert"
The location is great if you're going to the fair or the Amphitheatre. Parking on site, wifi worked well. The main floor hall smelled of damp old dog and unfortunately, so did our room. The AC seemed to just give off damp air and it was so hot out, there's no way we could turn it off. All our belongings were "wet" for 3 days. We did ask the young lady at the front (night shift, grumpy) if we could change rooms, we were told no, they're all the same anyway. The beds themselves were comfortable, the bathroom was clean and had basic amenities. Can't comment on breakfast as it ended at 9am promptly, so we never made it. The day we were to leave, they were banging on the door at 11am sharp for us to check out. 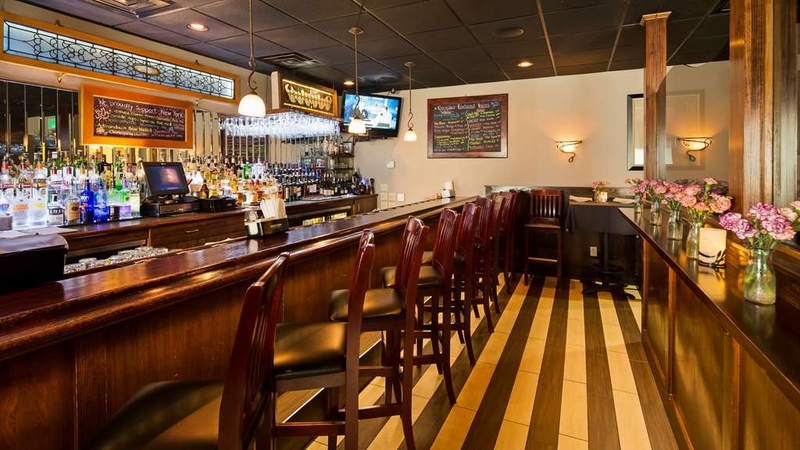 Attached restaurant has good food, good bar and great service. First time staying at this hotel across from New York State Fairgrounds. VERY NICE and convenient to our concert venue. Friendly staff, comfortable beds. Like having restaurant attached to hotel - great food and service. Would definitely stay here again, reasonable rates. 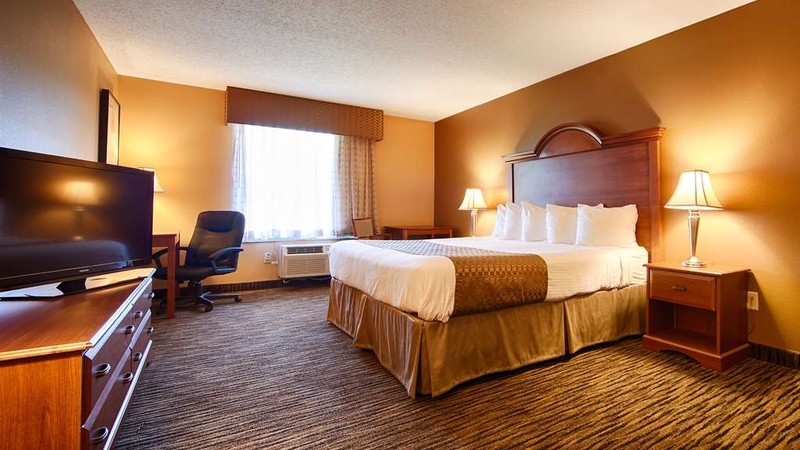 "Great hotel for when at the Fairgrounds"
The hotel was clean, very close to the concert venue and staff was attentive. Our king room was quite large and the bed and linens very comfortable. There was very little noise in the morning from elevators and cleaning staff. The bartender at the restaurant in the hotel was fantastic as was the food. We would return there to see him! "don't stay there for a concert"
My cousin & I stayed here last night to attend the Hall & Oates concert at The Lakeview Amphitheater...super convenient location & an EASY 2.4 mile walk that took less than 45 to avoid the 2 hour traffic issue. Nicole at the front desk (last night & this morning) was one of the friendliest & helpful hotel clerks I've ever dealt with! This hotel is very conveniently located. If not familiar with the area, it's a little tricky finding it, but once you find it, the easy access to highways makes it a great spot. The Inn has an attached restaurant, Daniella's which has a good happy hour and dinner. I believe they are also open for lunch. 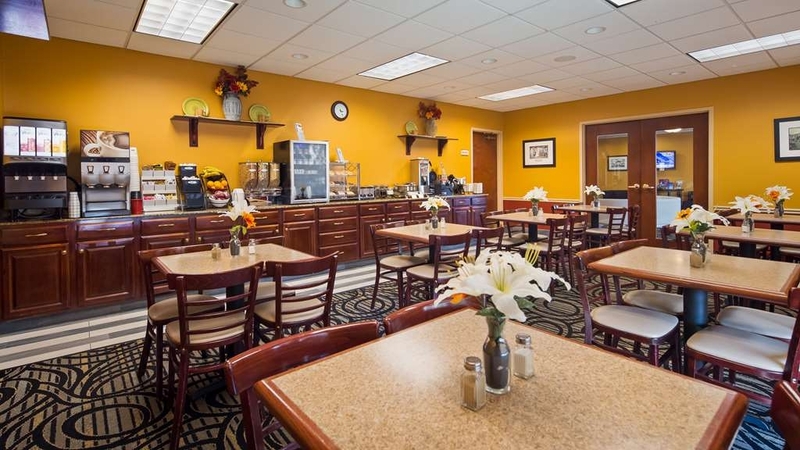 Sadly, you're stuck with a very tired continental breakfast and staff that find keeping it stocked quite a nuisance. In fact, the only staff member I could find, at the front desk, made it clear that asking for utensils or anything else that had run out was annoying, particularly when it was within 15 minutes of the end of the stated breakfast hours. That said, the rest of the staff (those working the late afternoon, evening/night shift) are all amazingly friendly and helpful. I borrowed a few items from the desk and they were very accommodating. The room was clean, though there was hole in the bathroom door which they had poorly patched - not a deal breaker, but it does distract from the perception of the Inn. Finally, we did take advantage of a ride to the train station which was very convenient and appreciated (24hour advance notice required). All in all, a good stay, with a couple of minor issues that could be easily remedied. Morning service 0 stars, all other service 5 stars! "Nice Hotel & Great Location"
The room was very clean. Bed was comfortable and this was a great location which was central to most everything in Syracuse. Worth the cost! The restaurant had great food but the wait was way to long. This was because of all the locals and outside visitors coming in. If your a hotel guest don't expect food quickly. The staff of the restaurant were very nice however it was very noticeable that the regulars were helped before any hotel guests. A table of 4 men seated 10 minutes after us were served food before our table of 2. I have stayed at this BW twice. I live about 19 miles away but when you travel for a living sometimes it's just easier to be at a hotel right near your dispatcher so I can sleep in. This BW is ok nothing fancy. There is a steak house restaurant attached, BUT main issue is good luck finding anyone who delivers there except pizza & sushi place. The hotel has NO VENDING you have to buy over priced items from the front desk. Place was clean both times, and both times everyone was friendly. I'm giving it an honest 3 out of 5 due to no vending, no pool, no hot tub, and before I forget both times there were women selling themselves in the hallway. Not Vegas style hookers either more like really nasty bad neighborhood ones. However since the hotel has always been clean it always been really nice to put out a decent breakfast I'm giving them three out of five. Not entirely sure I would be in a big hurry to go there if I had a family I don't think I'd want kids around the atmosphere but other than that it's a decent hotel. The motel was clean. The room was nice and the beds very comfortable. Have stayed here before and will go back. The only complaint l have is the check-in staff seemed very confused. I paid cash for 2 nights but when l went to check out it showed l only paid for 1 night but let $100.00 cash deposit for possible damages. The manager did clear it up however the staff needs more training on the desk. They have a friendly staff. Ther rooms were appropriate although bath towels were on the small size. The beds were too hard and uncomfortable, which, at the end of the day is one of the more important aspects of a hotel room. We stayed here overnight en route to New York City. The rooms were nicely decorated and comfortable with all convenient amenities such as fridge, ironing board, coffee maker, internet. The breakfast was included and was somewhat better than expected, since it included some hot items such as freshly made waffles, sausage, and scrambled eggs. There was a good variety, including fresh fruit. This hotel was an excellent value and provided exactly what we were looking for. "Breakfast Not As Good As Before"
Our family of four stayed here before. Our girls were competing at a dance competition hosted at the fairgrounds just down the road. Room was clean and comfortable. The hot buffet breakfast which was included was what we were looking forward to as it was good in the past. By the time we got to breakfast it was picked over fairly well, I had to scrape the last eggs off the tray. Needless to say, not much variety. I thought the hotel staff may replenish the breakfast items but that did not happen. Apart from breakfast, I would stay here again. Outstanding accommodations, coupled with the Daniella Restaurant "Best Little Steak House" in Syracuse. Largest Caesar Salad ever served. Easy access to highway, but very quiet surroundings. Will definitely stay again. "Best Western Inn at the Fairgrounds"
This hotel is clean and fresh and entirely non smoking. The beds are comfortable and the rooms are inviting. The breakfast is sufficient and the staff are pleasant and helpful. The internet works fine and there are extra outlets in the room conveniently located for recharging computers and phones. I definitely stay here again. Our stay lasted 2 days. Luckily, we only slept here. Evening reception was less than welcoming on arrival. She didn't have any company ID, name tag or corporate uniform. The parking information we received was erroneous, making us walk almost half way around the building . Our room smelled of stale cigarette even though the hotel is a smoke free property. The room was spacious and the bathroom was clean and well stocked with towels. Pillows were lumpy and uncomfortable. Beds were fine. The breakfast area was clean and the hot and cold choices were ample and hit the spot. We returned to the room late in the afternoon to discover that our room had been cleaned. This is where the oddness was evident. The pillows were piled one on top of the other on the beds. The decorative runner at the foot of one bed was bunched up on the floor. My daughter's 3 small stuffed animals were on a table by the window. She had left them on top of the fridge with her snacks. The telephone was still on the floor between the beds. We placed it there the night before to make room for a sleep machine. The sleep machine was packed away in the car while we were out. Wi-fi was spotty at times, otherwise fine. There was railway tracks outside our room. One train passed slowly and quietly during the night, it was not a problem. Other than the fairgrounds, there is a nothing nearby or in walking distance. Our stay was ok,just ok. Its location was convenient for our reason to be in Syracuse. Thank you so much for taking the time to share your experience with us. I am sad to learn that your stay was not enjoyable. Your comments on our front desk are duly noted and have already been passed to our housekeeping manager to make this issues are properly addressed to not happen again. We hope that we will have the opportunity to WOW you during your next stay with us. "Great "Bang for the Buck""
I live relatively close to the Syracuse area, so I rarely have a need for a hotel in this area. However, due to late night meetings followed by early morning meetings, I did decide to stay. I was pleasantly surprised by the fair price and the overall quality of the room and the hotel in general. A very good value! Hotel rooms are clean and the staff are friendly and welcoming. Close to Destiny USA mall and downtown Syracuse too. Definitely recommend you to check this hotel out, I would go again. Great for family stay too. "Will Not Make The Mistake of Staying Here Again"
The staff was rude and unprofessional, save the attendant at check in. I was awakened by the housekeeping banging on my door. I was charged for two different rooms for the same night. And it wasn't changed until they were called and asked about it. Like the title stats I will not be staying here again. And couldn"t be paid to recommend them to my worst enemy. That's how awful it was. "complaints about the help & absence of mgr." State of the hotel & room was excellent. Had to take a cab to airport.The desk clerk had to call mgr. to get approval & he over the phone said NO. Had to be wishing 24 hrs. request. This was when we 1st. arrived & needed it for the next day. Besides, where is the mgr., at home. For $124 a night, I could have got cheaper accomodations & smiling people. Not all bad. The room was very nice, beds comfortable, excellent restaurant ,bad price. "glad we made the change!" Our first time experience at the Best Western after staying at a different hotel for the past 5 years. We are glad we gave Best Western a chance, the room was cleaner, the staff more personal and the breakfast room was kept tidy. The breakfast itself was presented much better, not floating in grease or generic pre-cooked eggs. It was simple but very good. We travel to this area twice a year for business and will stay here again. Room had decent amount of space (2 queen beds and 2 tables/desks plus a tv/dresser). Beds were very comfortable. Air conditioner/heater fan was a bit noisy. Bathroom had a large counter, more than enough space for our toiletries (family of 4 including 2 teens). We stayed for two nights and had a great experience. The rooms we large and very clean. The staff were friendly and accommodating. They offered a free breakfast which was nice. I didn't care for the beds because they were too firm. Overall I would recommend this hotel. "A Soft Bed and A Dark Room"
This hotel was conveniently located for all of my family members who were traveling from different places for a graduation. The rate could not be beat and I will bet this place is packed during fair week. The hotel is easy to find and right off the highway. There is ample parking and the property appeared to be in good shape. I had some trouble checking in. The woman at the desk just kept saying "Yes, Mr. [last name]. You are all checked in". When clearly, I was neither in my room nor a mister. Once she found a room for me, I had my key and was sure I was not paying for the person staying in the room intended for me, it was fine. My room was clean and comfortable. There is a restaurant and bar on premises which appears to be a very popular hangout for the locals. Free breakfast buffet was a nice thing I have come to expect from Best Western. "Overall good, some personnel lacking in grace"
Check in personnel had credit card system down for 3 hours and wanted check in to be delayed until they fixed it even though we had reserved 4 rooms month ahead and were staying for two nights. Rooms were clean but one faucet dripped and could be heard all night. Heating/fan system was noisy but all hotels have the same issue. Overall the rooms nice and location was were we needed it. staff was friendly,bed and pillows were very comfortable.room was clean and quite.parking was ample.breakfast was good with sausage ,eggs,pancakes,waffles,cereal,fruit,bagels,yogurt.everything was warm.overall nice place to stay. Needed room for SU Game. Great Price and able to get room while others were sold out. Missed the bar open by 15 minutes though and that was a disappointment. Otherwise, well worth the money. Go Cuse!!!!! "Room needs repairs, staff did not deal with noise"
We stayed new years eve. A night you would expect people to be a little louder than normal. That being said. people were constantly going in and out of the 2 rooms next to us as I think a big party was split between rooms. After the new years we awoke at 3:00 am to screams as someone was locked out of their room. As we were on the 1st floor we awoke at 4:00 am to the sounds of someone getting sick outside our window. The staff can not be blamed for this, but I think that due to the location of this hotel it's more of a party place and not very family friendly. The room itself was clean however the tub was stained and looked bad, the coat hook on the bathroom door was pulling away and needed to be replaced. The beds were hard and very cheap feeling as you could feel the springs underneath you. All that on top of the noise led to a very unpleasant stay. I usually only stay at Marriott hotels and should have for this quick one night trip as well. overall review is very good. Staff was very freindly and helpful. The resteraunt was absolutely excellent in boththe food quality and services. I booked this hotl location only because of the proximity to my work assignment. In the future i will book this hotel location for all visits to the greater Syracuse area. Large clean rooms. However the plumbing messed up and our toilet overflowed causing water to come all the way out into our room from the toilet. Was quickly moved to a new room but was a major inconvenience. If you are passing through Syracuse to/from NYC, this Best Western is a really good place to stay. Rooms are comfortable and clean. Rates are reasonable as it's outside of the main town so long as there are no fairs happening. As it's quite remote (but good access to the freeway) it helps that the hotel restaurant is very very good. I'd stay here for this alone. Steaks are out of this world. Very pleased with their service. Room was clean and had a good mattress to sleep on. Enjoyed our stayed. Don't miss their restaurant on site. One of the best we ever ate at. We really enjoyed the food and service. Moved to a one bed room after reserving a two bed room.Location on first floor requested high floor.Placed in a handicap room in a noisy location. hotel unable to switch us despite cheking in at 6:00pm. Have stayed here many times but rooms on the bottom floor are noisy. Staff are helpful but no manager available to handle the issue on our first night stay.Moved on our second night to the room requested on our reservation. No other problems but am leary of staying here in future. This motel never disappoints me. The staff is wonderful always willing to go the extra mile. Room is clean and the beds are wonderful. The rooms are nice and quiet for a great sleep. This time we tried the restaurant which is fabulous! I had the chicken parm and loved it. So much food l couldn't eat it all. Can't wait to go back.!!! "Well Maintained, but Typical Best Western Issues & Smell"
I'll start with the good: The staff was friendly (though I think we woke up one of the front desk attendants). They weren't very knowledgable about the area but did have a tourism book and some restaurant menus on hand. The building was well maintained. They were painting while we were there. Best Western needs to improve their hotel requirements. There's no rhyme or reason to their room layout. It seems they had someone - maybe a front desk clerk order a bunch of furniture from a catalog and then had maintenance randomly place it in rooms. Put a light near an outlet, a chair here, a table there…after completely re-arranging the furniture the room was more usable. It did not have adequate lighting. There is a smell throughout the building (especially the small fitness room!). The restaurant food was good, but it was very tight and had scented candles on the tables. The location is convenient to the fairgrounds, but really nothing else. There's very little to eat in a quick drive other than take-out pizza, take-out chinese and fast food. Breakfast at the hotel is free, but isn't very good. The mattress was like sleeping on a board. Housekeeping came at 4:00 pm. The bathroom could have been cleaner and the toilet seat was not attached well - also VERY loud. My husband and I stayed here for an overnight stay on our way to another destination. We ate dinner at the bar in the hotel because the restaraunt was packed. The bartender told us this was a typical friday night! The food was delicious and the staff were frriendly and very hard working. Our room was pleasant and clean. I would definitely reccommend this hotel. It is super convenient to the highway too. Excellent overall experience. The 2nd floor room was exceptionally quiet. Breakfast room was extremely efficient and orderly. Hot foods were hot, with plenty of scrambled eggs and sausage, hot and cold cereals, coffee, tea and milk, great toast and desserts. "Nice hotel beds slightly on the hard side"
Hotel very clean, room large with fridge etc. Breakfast 6 to 9 a little early if you are on holiday ! Food ok but no fresh fruit at 8.30. The staff friendly and helpful, restaurant part of the hotel very good for dinner but reservation needed or you could have a long wait.The food and staff are that good customers come from all around. Great, clean place to stay and the steakhouse restaurant was fantastic. I would recommend the Pork Ribeye. The room was very nice and clean. Front desk was very helpful. I will stay here again when I visit next. "Good thing I was not spending two nights there." Stayed at the Syracuse Best Western for one night on our way to Niagara Falls. You get what you pay for. Good Complimentary breakfast. Rooms are super clean and big. Free parking. Daniella's (the restaurant) is great - staff is great. No bed bugs. Room to improve The staff was completely thrown off guard when my Booking.com reservation didn't show in their systems. I had to suggest to call them myself to fix things up. The vault ceilings in the rooms are unusual and makes the rooms seem dark and gloomy The whole hotel smells, especially the rooms. Walls are paper thin, we could hear everything going on in the next room. "Nice place with a good resturant on site!" Stayed here on business. Room was very clean, coffee pot and refrigerator in room, bed was really comfortable and room was quiet. Daniellas Steakhouse was really good. Located right in hotel. Service was excellent at both hotel and restaurant. If you are showing or have an event at the New York State Fairgrounds I would only recommend staying here. It is literally a minute drive to the fairgrounds and very nice and clean. The restaurant Danielle's or Daniella's is very good and is located in the hotel. The employees were extremely informative about the area. The restaurant (Daniella's Steakhouse) was exceptional! The room was spacious, comfortable and we could almost see the lunar eclipse from our room!! All in all a reasonably priced place. 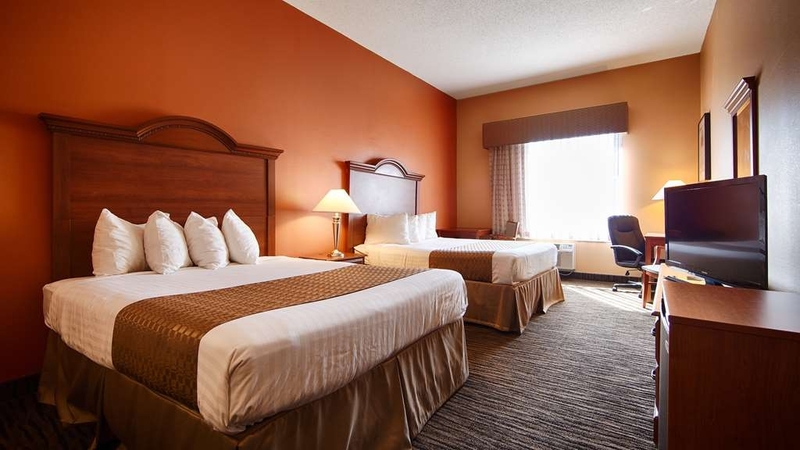 The room was nice and clean and the service in general was very good. Value for your dollar. The only problem that we had was the plastic silverware which comes with the complimentary breakfast was placed with the eating side of the utensils up, thereby causing people to touch other utensils with their hands....... not very good. "Very Close to the Fairgrounds"
We had dinner at the restaurant attached to this hotel on a previous trip to Syracuse, NY so we decided to stay here on a recent business trip. It is located one minute away from the New York State Fairgrounds in Syracuse just off of an exit for Interstate Route 690. The room was quiet, a decent size and the bed was very comfortable. The place was clean and the staff was friendly and helpful. The parking lot is big and can handle small travel trailers. Their restaurant named Daniella's was even better this time than our last trip. Made my reservation back in June 2015 on BestWestern.com & went to check in on Sept 18, 2015 & they did not have me in the system!! The Hotel was full & the front desk lady called the manager only for him to say sometimes that happens with online booking. No apologies, no nothing! They called a dive of a hotel for us to stay in, which we had no choice but to stay as we just drove 10 hours with nowhere else to stay. Will NEVER go back to this hotel!! BEWARE! !